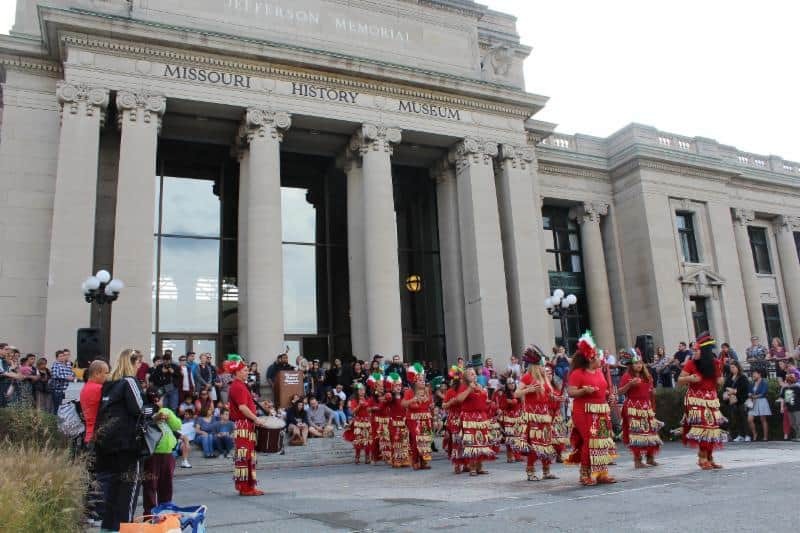 The “Day of the Dead” Festival at the Missouri History Museum is a free event where kids can learn about Latin American traditions, make a souvenir print, have their face painted and watch a procession through Forest Park. There will be beautifully decorated altars, live music, dance and a display of papier-mâché Día de los Muertos sculptures. There will also be plenty of food and drink vendors…and the awesome Disney film Coco will be screening on a continuous loop! Teens Make History Team story sharing station where people can interview each other and record their personal stories. Learning fútbol skills with Saint Louis Club Atlético. Día de los Muertos is a holiday honoring friends and family who have died. It’s celebrated throughout Mexico and around the world in other Hispanic cultures. Prior to the 16th century the holiday was a summer event, but eventually it was moved to November to line up with the similar Christian holidays of All Saints Day and All Souls Day. 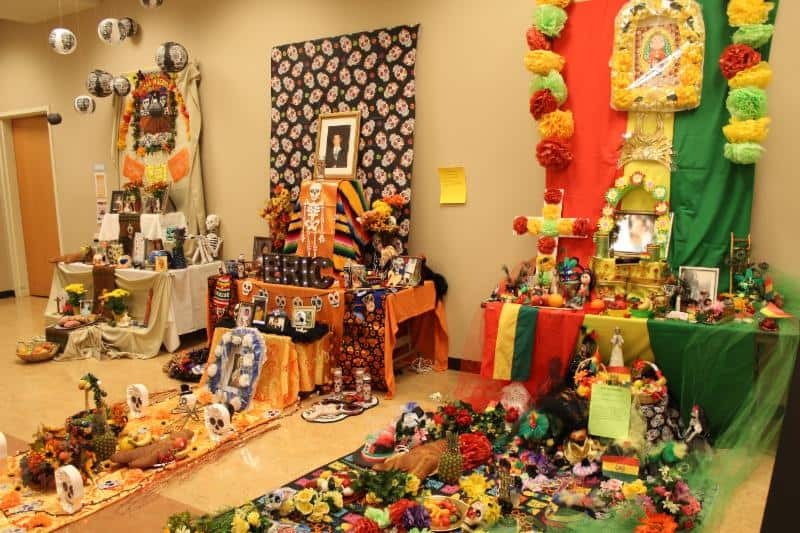 The annual Día de los Muertos Festival at the Missouri History Museum is a high-spirited affair that shares the rich history and traditions of Hispanic/Latino culture and this holiday by highlighting contributions made by Hispanic artists, musicians, dancers, artisans, and chefs.